I love my little caravan. As many of you know, this is where I go to when I’m writing, and where I film occasional videos with training tips for you. I have an electric kettle too, but there’s something about my singing kettle that brings back memories from childhood camping trips. 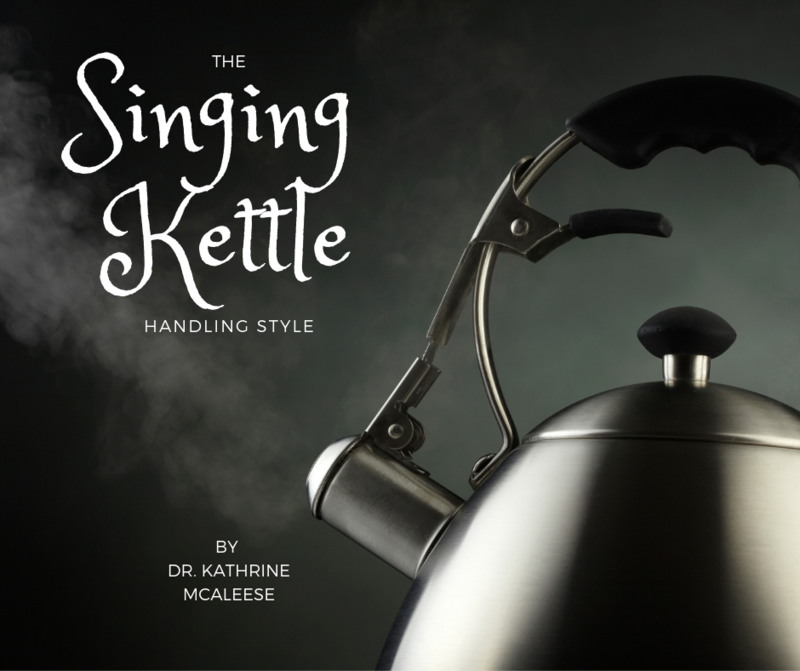 I love the old-fashioned singing kettle, but I really hate the sound of the whistle it makes, so I try to catch it just as it’s about to get into full flight, ha! It is actually a symptom, rather than a cause, so this is only a smidgen of what I really want to say on this topic!! Whether you are an agility competitor or not, please read on and see how this might be applicable to you, even if you’re not giving yourself away like the agility ‘singing kettles’ are! * If you need more skills, get into class now! Get to work if you know you could improve your mindset skills (and let’s face it, who of us couldn’t?) What are you waiting for?? There is NO shame in recognising you haven’t got it all sorted- we’re all human, we all need help and we’re all guaranteed to get things wrong from time to time. It’s part of being human, so that’s not the problem. The problem is when we deny or refuse help to improve. ANYONE can change, it’s more a choice of whether we WANT to badly enough. I am rooting for you, I’m here to help you, please let me know how I can. Here’s that link to snap up your place in our Mental Mastery Community! Uncategorized anxiety, mindset, performance. permalink.